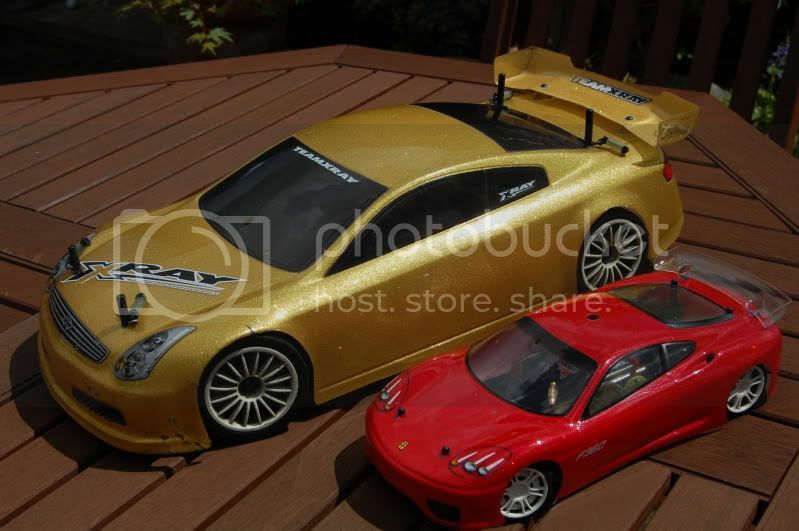 I think we should have a thread in here that everybody into RC Cars, Planes, Boats and also Modellers that make the ships, cars, planes from Airfix etc have a place to keep us updated with what they are up to and discuss everything around the hobby. I then added these shock limiting cables to help keep the shocks in shape as constant full extension can eventually cause the internal parts to break down.. The stock beadlocks had pulled over the screws in a few places, so I had to upgrade to these awesome heavy duty after market ones.. Finally I added some 'Bone Guards', they go in front of the rear drive shafts to prevent stones, rocks, grass and generally keep stuff away from that drive line that would cause damage. How much and where would i get one like yours?? Looking forward to your tmaxx pics, a friend had one when they first came out, I opted for the Terra Crusher. This was over 10 years ago though! 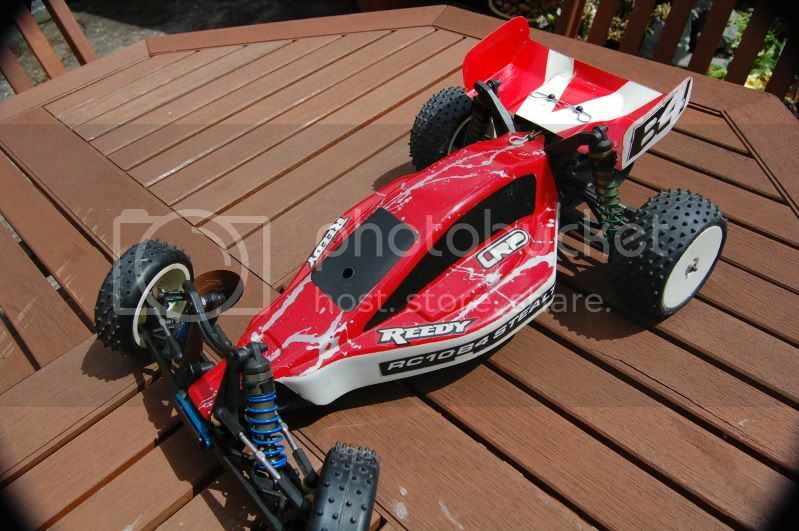 Hiya, mine is a 'HPi Baja 5b SS'.. The SS is a kit and you have to build it. You will need radio gear and a throttle servo too. Going from Electric to Nitro then to Petrol, I'm not going back, this 1/5th 26cc is absolutely savage and watching videos on YouTube etc doesn't really do them any justice. You can buy a RTR version (Ready to go, including radio gear) of the 5b but it's not SS spec, it has a 23cc engine and some parts plastic instead of metal but you can upgrade later on anyway. You can get copies from KM and Rovan but they are absolutely garbage, people buy them for £399 thinking they are making an amazing saving but their quality is diabolical, so they end up fitting all HPI parts anyway and end up always disappointed, don't do it. It's not fair on yourself and not fair on HPI who make a brilliant product! If you look on ebay for used ones, make sure you do a bit of homework and not buy one of the copies/clones! If you find one, you can stick a link in here and I'd help as much as I can to make sure you aren't buying a lemon. 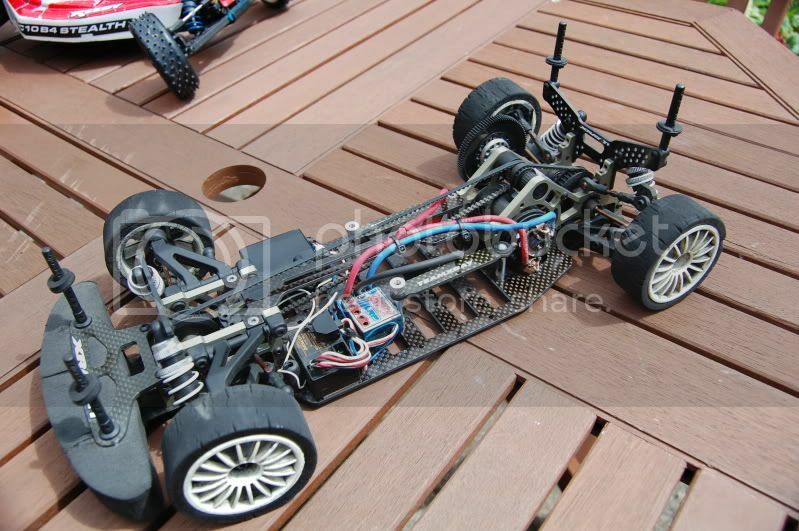 Thanks so much,looking for a new hobby again and had Petrol in the past on a big scale,then went to Nitro again and got sick of it,any vids of yours in action?? This is the latest video I have, it wasn't running right as I had it stood for 2 years due to work and life, it transpired that it had rusty crank bearings.